With daily loss of about N16, 520, 000, two Nigerian major carriers, Arik Air and Aero Contractors have condemned the closure of Osubi Airstrip also known as Warri Airport, in the oil city of Delta State. The airport was closed on September 3, 2018 when the Nigerian Airspace Management Agency (NAMA) withdrew its navigational services due to debts owed it by the management of the airport, Shoreline Energy International. In addition to the loss by airlines, the closure has also affected businesses around the airport and also impacted negatively on oil and gas workers who constitute the bulk of the passengers that use the airport. THISDAY gathered that many of the passengers now use Benin Airport in Edo State, while some travel by road to Delta State. Head of Communications, Arik Air, Adebanji Ola told THISDAY yesterday that the airline operates Lagos-Warri flight twice a day and also operates daily flight from Abuja to Warri. With average fare of N30, 000 per passenger and load factor of 74 passengers per flight with Bombardier Q400 Dash 8 aircraft, the airline said it loses N2, 220, 000 per flight. Arik also loses a total of N13, 320, 000 daily on three flights to Warri from Lagos and Abuja daily and three flights daily from Warri to Abuja and Lagos respectively. 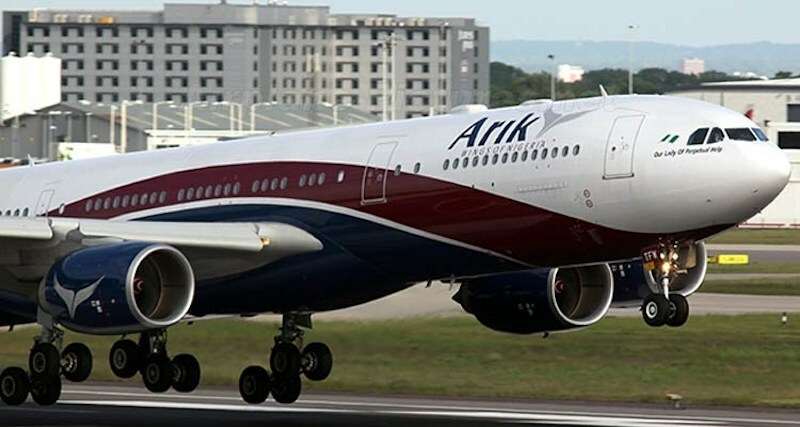 Spokesman of Arik Air, told THISDAY that the airline had lost so much due to the closure and described the route as its priced and lucrative route. “We are losing so much revenue because of the closure. The route is a high yielding route to the airline because we provide premium service to the largely oil and gas workers in Warri and Escravos but now we only provide service to Escravos,” the Arik Air Head of Communication said. Also the Chief Executive Officer of Aero Contractors, Captain Ado Sanusi, told THISDAY that Aero operated daily to Warri from Lagos with usually filled Dash 8, Q300 aircraft with capacity of 50-passenger at the cost of N32, 000 per passengers, adding that with the closure of the airport, the company loses N1.6 million on each leg of the flight with a daily loss of N3.2 million. It was gathered that as at yesterday, September 25, 2018, the airlines had lost N379, 960, 000 since the airport was closed on September 3, 2018The CEO of Aero Contractors told THISDAY the airline loses money because of the non-function of the airport, noting that the Nigerian Civil Aviation Authority (NCAA) should have formally closed the airport after NAMA withdrew its service instead of leaving it technically open. 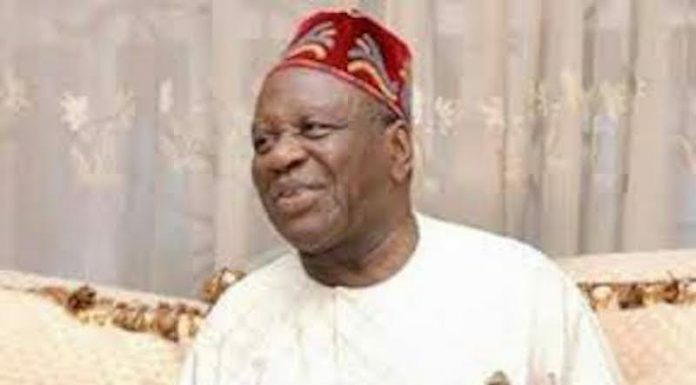 Spokesman of NCAA, Sam Adurogboye, told THISDAY that NAMA withdrew services to the airport “on the ground that they were not being paid for service rendered. We are aware of their action.” Informed source from NAMA however, told THISDAY that the agency withdrew its Air Traffic Management Services (ATMS) due to debts owed it by Shoreline. The source said that it was not only the Warri Airport that NAMA withdrew its services, adding that it also did so at the other airports and airstrips indebted to it, which include the airports in Uyo, Akwa Ibom; Bonny-Finima airstrip, Rivers State; Dutse, Jigawa State; Birnin-Kebbi, Kebbi State, Bauchi in Bauchi State and Gombe in Gombe State. THISDAY also learnt that Warri airport is one of the busiest airports in Nigeria although passenger traffic to the airports slumped in the last six years due to decline in oil and gas activities of some major oil companies around the Warri area. For example, according to available records, in 2010 the airport recorded a total number of 343,333 passengers; 365,875 in 2011; 355, 661 in 2012; 328, 463 in 2013; 221, 250 in 2014 and 187, 630 in 2015. Shell Petroleum Develop-ment Company (SPDC) owned the Osubi airstrip and sold it to Shoreline, an indigenous oil and gas concern in April, 2015.